Does Snap On Smile Really Work? It makes sense that people would be skeptical toward a new treatment that promises to improve your teeth quickly, comfortably, and affordably. It does sound too good to be true, right? Snap On Smile hits all these marks and more. Virtually everyone can see improvement to their smile with this new treatment. It requires only two dental visits and no shots or drilling. With Snap On Smile, your natural teeth remain intact and just as they are. Snap On Smile can cosmetically improve the appearance of gapped, crooked, stained, or missing teeth. With this treatment, you will be able to see the dramatic changes braces provide without the lengthy, uncomfortable procedures associated with orthodontic care. At your first appointment with our dentist, your smile goals will be closely considered. You will be able to select the style and shade of your new teeth to achieve the smile you have always wanted. Feedback from patients on Snap On Smile treatment has been overwhelmingly positive, as Snap On Smile reviews reveal. In addition, check out before and after Snap On Smile photos to see the dramatic changes this treatment has had on teeth. To get your very own Snap On Smile, call our office today and schedule an appointment with our dentist. Sleep specialists suggest that adults get 7-8 hours of a sleep every night. According to researchers at the University of California, San Francisco, a small portion of the population (less than 3%) is able to adequately function on 6 hours of sleep. Some people may even need 9 hours of sleep, but for most, 7 is the required minimum. You may be wondering how to know how much sleep you need. Try an experiment one night: go to bed when you are truly tired, and allow yourself to wake up naturally the next morning. If you feel refreshed upon waking, log the amount of time you slept the previous night. This is probably the amount of sleep you should be getting on a nightly basis. If you feel you are sleeping enough but are not feeling rested, you may be suffering from a sleep disorder like sleep apnea. Consult our Los Angeles sleep apnea doctor for more information on sleep apnea. •	You constantly hit the snooze button. •	You feel groggy in the afternoon. •	You need an alarm clock to wake up on time. •	Driving or eating heavy meals make you drowsy. •	You fall asleep soon after laying your head on your pillow. 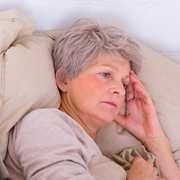 If you feel you are sleep deprived, you may have sleep apnea. Sleep apnea treatment options can help you feel more rested and awake throughout the day. Call our office today to schedule a consultation with our sleep specialist. If you are missing one or more teeth, you are automatically at a greater risk for developing infections that could potentially lead to a serious disorder like gum disease. Replacing or restoring your missing tooth is important to maintain the integrity of your bone, jaw, and face shape. One of the most popular types of tooth replacement options available today is the dental implant. Our Los Angeles implants dentist recommends replacing a tooth with a dental implant as it is a permanent, durable, natural-looking solution. Because the procedure of placing dental implants can be extensive, occasionally involving bone grafting and re-positioning of the sinus wall, it can be quite costly as far as dental treatments go. •	Speak with your dentist about the long-lasting quality of dental implants, as they may eventually save you money spent on future replacements for alternative treatments like dental bridges and partial dentures. •	Reconsider the benefits of dental implants, which include longevity, bone loss prevention, and increased stability. •	Ask your dentist about possible payment plans or phased treatment, which can spread out the cost of dental implants over time, fitting better into your budget. To see how much your dental implants will cost, schedule a consultation with our expert in dental implants in Los Angeles. When are Invisible Braces Used to Correct Tooth Alignment? 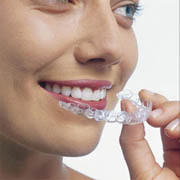 Invisible braces are a discreet corrective option for patients whose teeth are out of alignment. By using clear plastic aligners that patients can remove at will, invisible braces correct teeth without making patients self-conscious. Here is a look at when this treatment is used to align teeth. When Are Invisible Braces Indicated? When patients want to improve their looks, comfort and health for life without drawing unwanted attention during treatment, they should ask our orthodontist in Los Angeles about invisible braces. This option works for virtually all types of bite irregularities, and most adults are candidates. Common invisible braces are designed to work only on jaws that are fully developed, which means that teens may not qualify for this treatment. In some cases, patients may require restorative work before receiving invisible braces. Our orthodontist may also recommend the use of other orthodontics alongside invisible braces to address all treatment goals. Invisible braces are often preferred by students and professionals who want to avoid disrupting their looks while their teeth are being aligned. 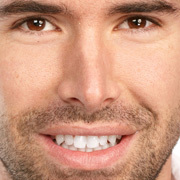 At a consultation with our expert in invisible braces in Los Angeles, patients can learn more about this treatment and find out if it is right for them. CPAP (continuous positive airway pressure) is a highly effective frontline treatment method for obstructive sleep apnea. Prior to using a CPAP machine, you will probably have to undergo a sleep study, also known as a polysomnogram, in order to receive a proper diagnosis for sleep apnea. In many cases, CPAP treatment will come into play both during and after a patient undergoes a sleep study. If our sleep apnea dentist in Los Angeles believes you might benefit from CPAP, you may undergo a split-night sleep study. The first half of this sleep study is dedicated to witnessing your symptoms without CPAP. If the sleep study shows you have sleep apnea, you will be fitted for a CPAP mask to wear for the rest of the night. The flow of pressurized air will be adjusted as you sleep to ensure optimal breathing quality. Following your polysomnogram, if it is decided that you will benefit from CPAP treatment, you will be prescribed a specific type of CPAP machine at the correct settings. In most cases, health insurance companies will cover CPAP treatment. For further questions or concerns about CPAP treatment, contact our expert in CPAP and sleep apnea oral appliance in Los Angeles. Can Red Wines Stain Teeth? When it comes to staining teeth, red wine plays a special role. More stain-causing than coffee and dark fruit juices, a glass or two of Merlot can significantly alter the appearance of teeth. The color or chromogen in foods and drinks play a major role in their tooth staining ability. The heavily pigmented quality of red wine, coupled with its high acidity, wreak havoc on your lips and teeth after consumption. The acid in wine dissolves the enamel on your teeth, making it more absorptive of pigments in food and drink. There is a reason wine is frequently paired with cheese (aside from it being a delicious combination). The protein and calcium in cheese coat the teeth and act as a barrier against discoloration. Hard cheese works best. Eating fibrous crudites like cauliflower, broccoli, and celery can help scrub your teeth and remove stains. These foods also trigger saliva production, which is the best way to naturally rid your mouth of stains. When your evening of red wine consumption draws to a close, wait at least a half hour before brushing your teeth. The high acid content of the wine makes your teeth sensitive to abrasive brushing, so hang tight. If you would still like to see whiter teeth, call our office to schedule a consultation for teeth whitening in Los Angeles. Gum disease is a serious chronic infection of the gums and supporting structures of the teeth. If you have been diagnosed with gum disease, our dentist in Thousand Oaks will create a treatment plan to restore your gums to health. Non-surgical treatments are generally recommended before surgical treatments whenever possible. Scaling and root planing is one of the most common periodontal treatments. This procedure is basically a deep cleaning for your teeth. We use special tools to clean tartar, plaque and other debris from your periodontal pockets and teeth. The roots of the teeth are then smoothed to encourage the tissues to reattach. This can remove bacterial toxins and make it easier for you to clean your teeth at home. You may also benefit from topical antimicrobials or antibiotics, which are used to kill remaining bacteria. After the scaling and root planing, most patients will need follow-up exams to ensure that your gums are healing. Some may need ongoing therapies to keep bacteria under control and promote health and healing. Treating periodontal disease at its earliest stages can ensure more positive outcomes. The right treatment can prevent further damage and reduce the risk of tooth or bone loss. Contact our office today to learn more or to schedule your next appointment with our expert in non surgical gum therapy in Thousand Oaks.